1847 : Louis-François Cartier (1819-1904) took over the jewellery workshop of his apprenticeship master Adolphe Picard at 29, Rue Montorgueil in Paris. 1856 : Princess Mathilde, niece of Napoleon I and cousin to Emperor Napoleon III, made her first purchase from Cartier. 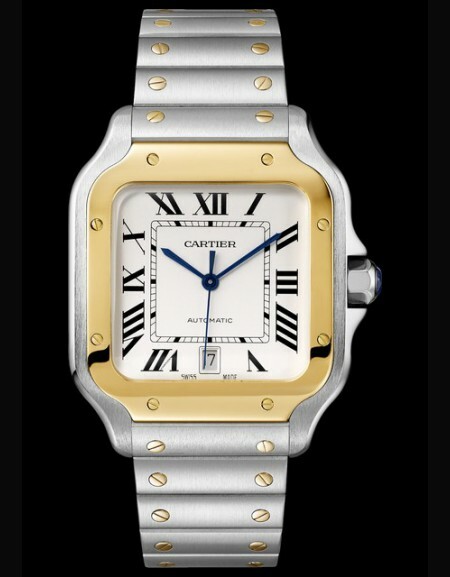 1859 : Cartier moved to 9, Boulevard des Italiens. Empress Eugénie became a customer. 1888 : The first jewellery bracelet-watches for ladies. 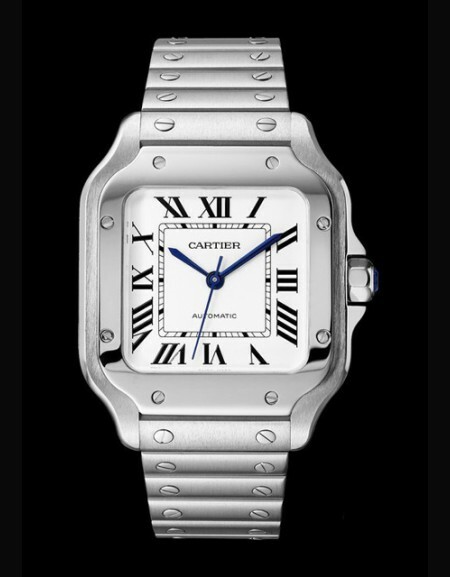 1899 : Cartier opened at 13, Rue de la Paix in Paris. Louis Cartier (1875-1942), eldest son of Alfred (1841-1925), had been in business with his father for one year. 1900 : Crowned heads and aristocrats from around the world flocked to buy neoclassic diamond jewellery mounted in platinum of neoclassic inspiration. 1902 : Pierre Cartier (1878-1964), Alfred's second son, opened a branch at 4, New Burlington Street in London. The opening coincided with the coronation of King Edward VII. 1904 : Cartier received its first royal warrant as official purveyor to King Edward VII of England. Appointment as official purveyor to King Alfonso XIII of Spain. Louis Cartier created a wristwatch with a leather strap, expressly designed to be worn on the wrist, for his friend the Brazilian aviator Alberto Santos-Dumont. Queen Alexandra of England purchased a necklace in the Indian style. The first jewellery prefiguring the Art Deco style, recognisable for its abstract and geometric forms. 1905 : Appointment as official purveyor to King Carlos I of Portugal. 1906 : Alfred Cartier's third son, Jacques, took over the London branch. 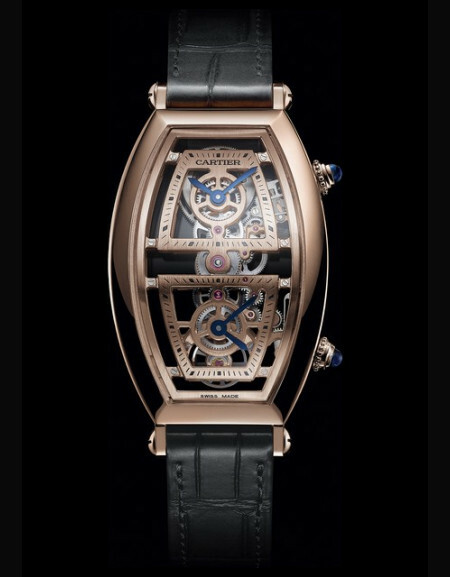 Creation of the first Tonneau wristwatch. 1907 : First exhibition and sale in Saint Petersburg, at the Grand Hotel Europe. Appointment as official purveyor to Tsar Nicholas II of Russia. 1908 : Appointment as official purveyor to King Paramindr Maha Chulalongkorn of Siam. 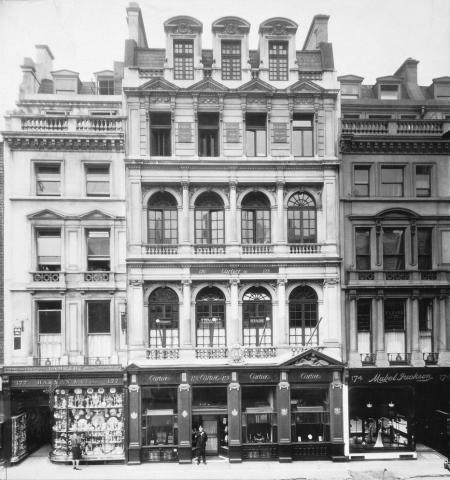 1909 : Opening of a new address at 175-176, New Bond Street, London. Pierre Cartier opened a subsidiary in New York at 712, Fifth Avenue. Patent for the folding buckle for wristwatches. 1910 : Pierre Cartier sold the blue Hope Diamond to an American customer, Evalyn Walsh McLean. 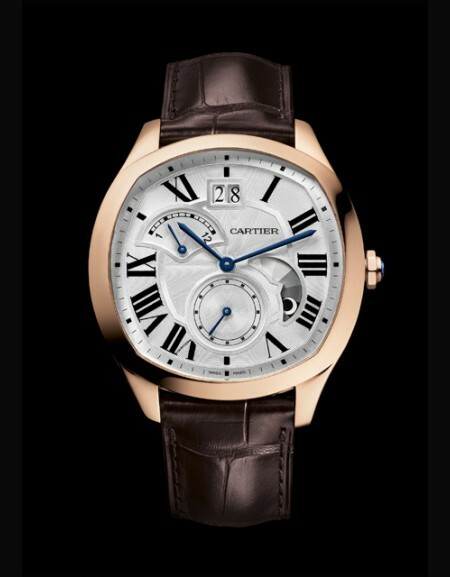 1911 : Launch of the Santos de Cartier wristwatch, inspired by the 1904 model. Jacques Cartier (1884-1942) travelled to India to attend the Delhi Durbar and to the Persian Gulf. 1912 : The first mystery clock: Model A. A delegation from the City of Paris presentsed Tsar Nicholas II with the Cartier Imperial Egg (now at the Metropolitan Museum of Art in New York). Launch of the Tortue watch. 1913 : Appointment as official purveyor to King Peter I of Serbia. 1914 : The bezel on a lady's round wristwatch was paved with diamonds and onyx to create the first 'panther' motif. Appointment as official purveyor to Duke Philippe of Orleans. 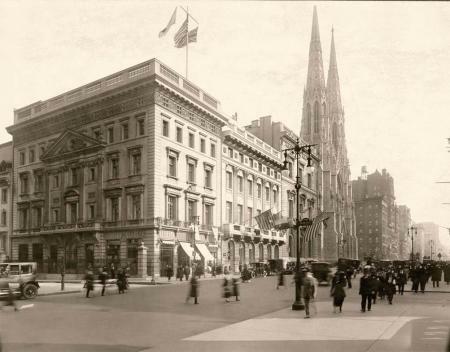 1917 : The New York store moved to 653, Fifth Avenue, the mansion home of Morton F. Plant which Pierre Cartier acquired in exchange for a double-strand necklace of 55 and 73 natural pearls. First studies for the Tank wristwatch. Opening of the Cartier New York workshop later named 'American Art Works'. 1918 : Creation of batons for Field-Marshals Foch and Pétain. 1919 : Launch of the Tank wristwatch. Appointment as official purveyor to King Albert I of Belgium. 1921 : Appointment as official purveyor to the Prince of Wales, future King Edward VIII who, on abdicating in 1936, became the Duke of Windsor. 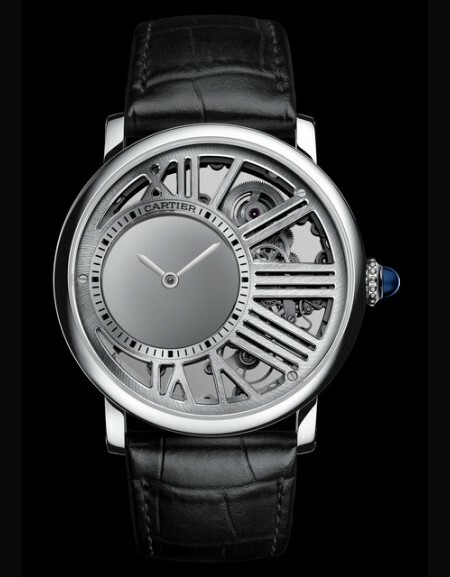 Creation of the Tank cintrée wristwatch. 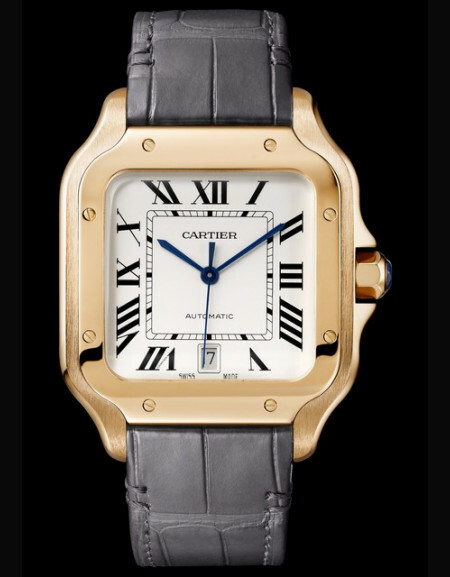 1922 : Creation of the Tank Louis Cartier and Tank Chinoise wristwatches. Opening of Cartier London workshop named 'English Art works'. 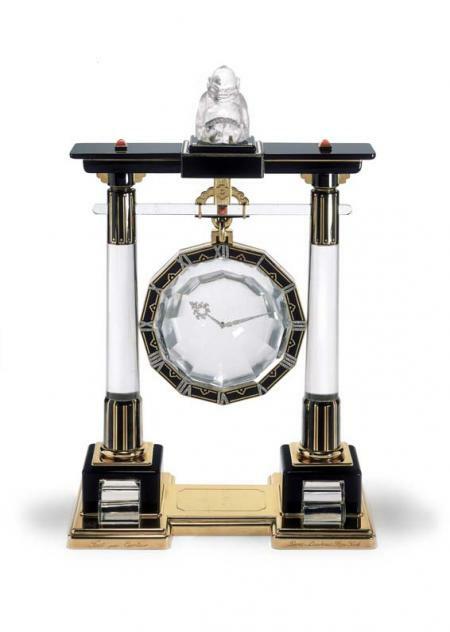 1923 : The first Portico mystery clock. 1924 : Creation of the three-band ring and bracelet combining gold in three colours, known in the United States as Trinity. 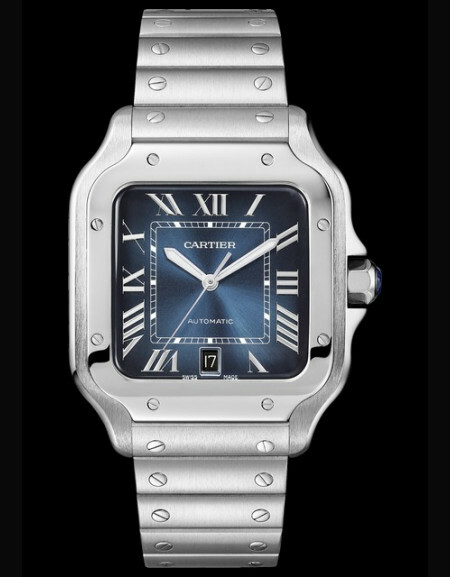 1925 : Cartier made a memorable appearance at the International Exhibition of Modern Industrial and Decorative Arts in Paris, in the Pavillon de l'élégance. 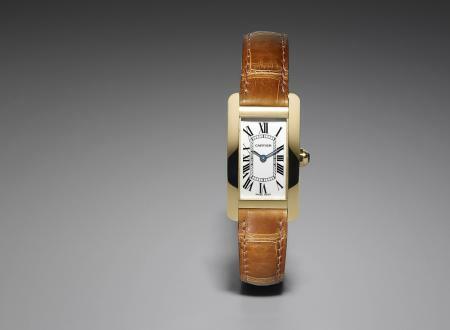 1926 : Creation of the Baguette wristwatch. Cartier jewellery in its famous red box appeared on the Broadway stage in Anita Loos' play 'Gentlemen Prefer Blondes'. 1928 : A loyal American customer, Marjorie Merriweather Post, purchased from Cartier in London earrings once worn by Queen Marie-Antoinette of France. Creation of the Tortue single button chronograph wristwatch. 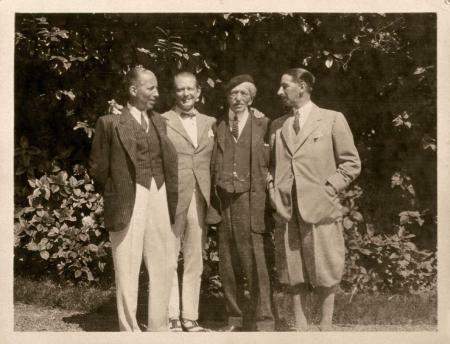 1929 : Appointment as official purveyor to King Fouad I of Egypt and participation in the Exhibition of French Arts in Cairo. 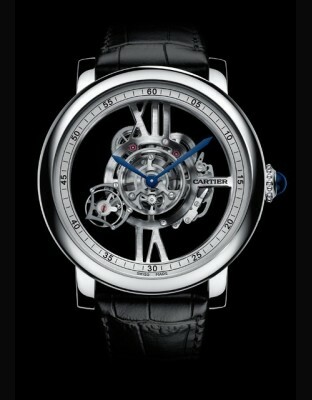 Creation of the Tank à guichets wristwatch. 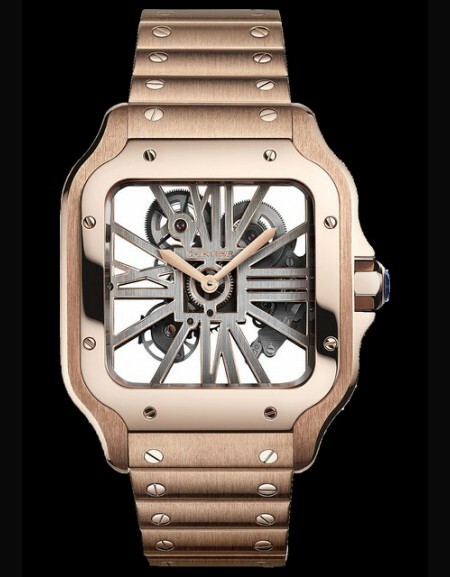 1932 : Creation of the Tank basculante wristwatch. 1933 : Jeanne Toussaint was made head of Cartier Fine Jewellery. Cartier filed a patent for the 'invisible mount', a stone-setting technique in which the metal of the mount disappears to show only the stones. 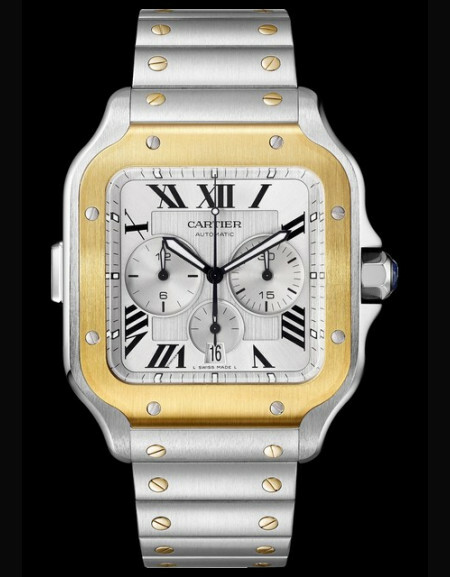 1935 : Cartier opened in Monte-Carlo. 1936 : Creation of the Tank asymétrique wristwatch. 1938 : Cartier opened in Cannes. 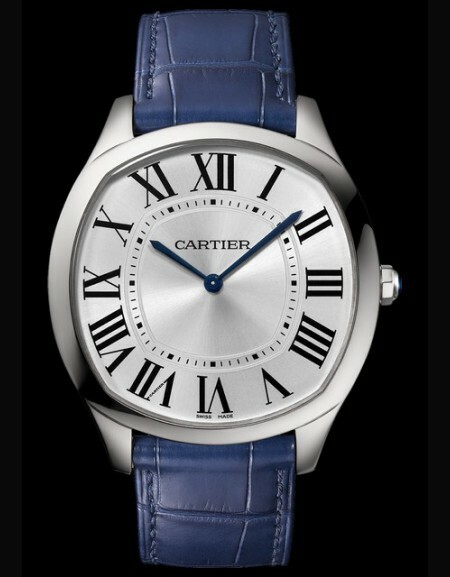 The smallest wristwatch in the world, by Cartier, was given to Princess Elizabeth of England. 1939 : Appointment as official purveyor to King Zog I of Albania. 1940 : General de Gaulle founded the Forces Française Libres movement in London, for which he received Cartier's steadfast support. Some of his speeches were written in the office which Jacques Cartier placed at the general's disposal. 1942 : Creation of the 'Caged Bird' brooch as a symbol of the Occupation. In 1944, the 'Freed Bird' brooch celebrated the Liberation of Paris. Death of Louis and Jacques Cartier. 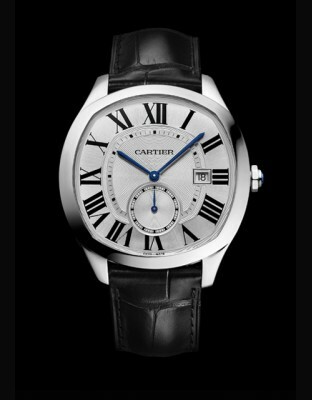 1945 : Pierre Cartier was now at the head of Cartier Paris. 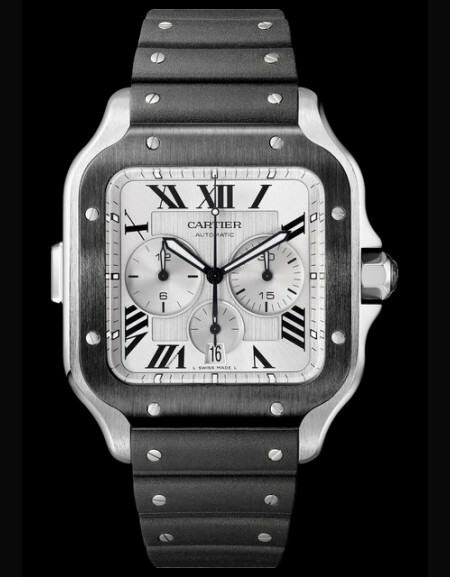 Claude, son of Louis, took the helm of Cartier New York while Jean-Jacques Cartier, son of Jacques, was at the head of Cartier London. 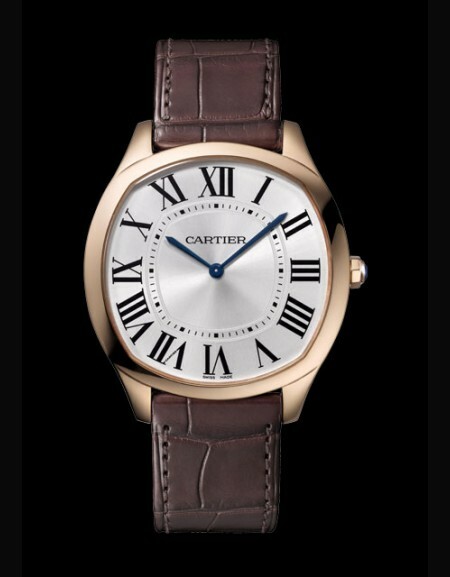 1947 : Cartier celebrated its centenary. 1949 : The Duke and Duchess of Windsor purchased, in Paris, a platinum panther brooch on a Kashmir cabochon sapphire of 152.35 carats. Cartier would buy the brooch for its own collection in 1987. 1950 : The legendary Hollywood actress Gloria Swanson appeared in 'Sunset Boulevard' wearing the two diamond and rock crystal bracelets she had bought from Cartier in 1930. 1953 : Marilyn Monroe sang 'Cartier!' in the film version of 'Gentlemen Prefer Blondes'. 1955 : Creation of Jean Cocteau's sword for his election to the Académie Française, to the artist's own design. 1956 : For her marriage to Prince Rainier, Princess Grace received numerous gifts of jewellery by Cartier including her engagement ring, set with an emerald-cut diamond of 12 carats. 1957 : A loyal customer, Barbara Hutton purchased a tiger brooch in yellow gold, onyx and yellow diamonds. 1964 : Death of Pierre Cartier. 1967 : Creation, in London, of the famed Crashwatch. 1968 : The Mexican actress María Félix commissioned Cartier to make a diamond necklace in the form of a serpent. 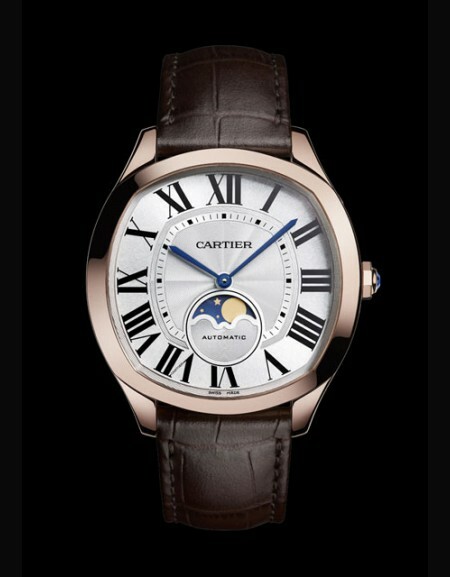 Cartier granted Robert Hocq a licence to create an oval lighter with a retractable wheel under the Cartier name. Creation of the Maxi Oval watch in London. 1969 : Cartier acquired an exceptional pear-shaped diamond of 69.42 carats and sold it to Richard Burton. He gave it to Elizabeth Taylor for her birthday. The famous Cartier Diamond was thus renamed the Taylor-Burton. Opening of Cartier in Geneva. Creation of the Love bracelet. 1970 : Opening of Cartier in Hong Kong. 1971 : Opening of Cartier in Munich. 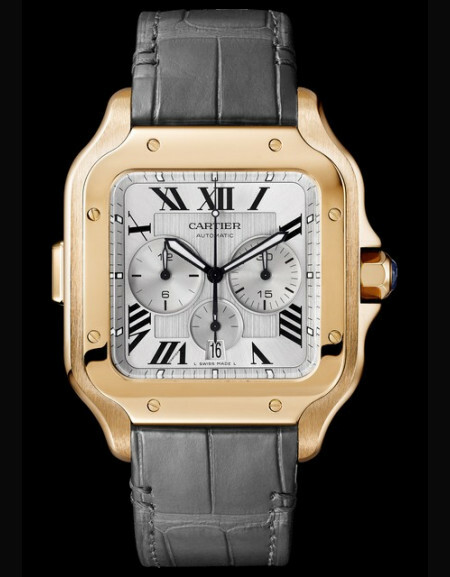 1972 : Cartier Paris was taken over by a group of investors led by Joseph Kanoui. 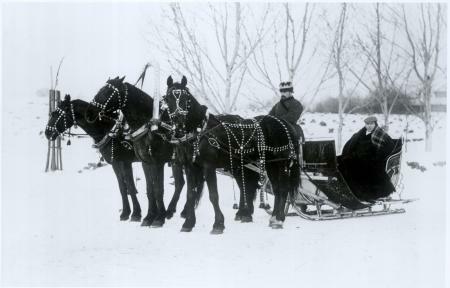 1973 : Creation of Les Must de Cartier by Robert Hocq with Alain-Dominique Perrin. 1974 : Launch of the first leather collection in bordeaux-red. Cartier loaned a significant part of its Art Deco style jewellery collection for 'The Great Gatsby', directed by Jack Clayton and starring Robert Redford and Mia Farrow. 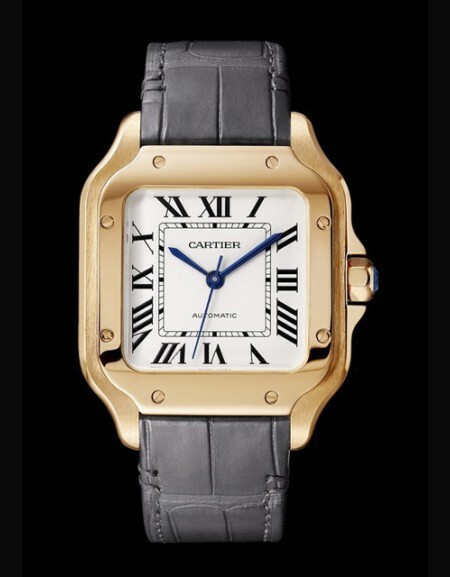 1975 : Cartier celebrated the one-hundredth anniversary of the birth of Louis Cartier. Opening in Monte-Carlo of the first major retrospective, 'Louis Cartier: Art Deco Masterpieces'. 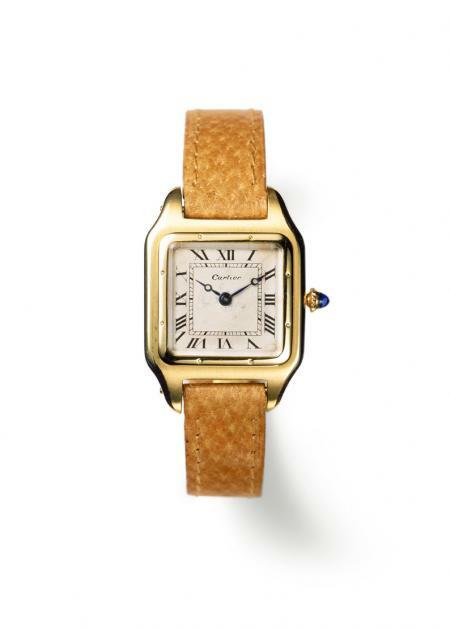 1976 : First collection of Les Must de Cartier vermeil watches. Retrospective in New York entitled 'Retrospective Louis Cartier: One Hundred and One Years of the Jeweler's Art'. Creation of the first oval pen. 1978 : Creation of the Santos de Cartier watch with a gold and steel bracelet. Creation of the first Cartier scarves collection. 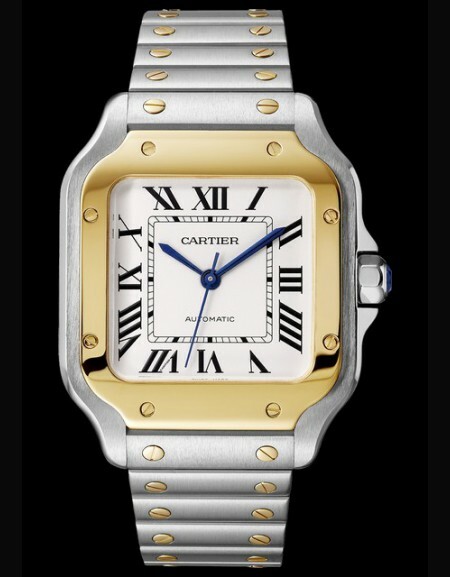 1979 : Cartier Paris, Cartier London and Cartier New York were reunited as a single legal entity. 1981 : Launch of the Must de Cartier and Santos de Cartier perfumes. 1982 : New jewellery collection on the theme of gold and stones. 1983 : Creation of the Collection Ancienne Cartier (later the Cartier Collection) to record and illustrate how the jeweller's art and history have evolved. 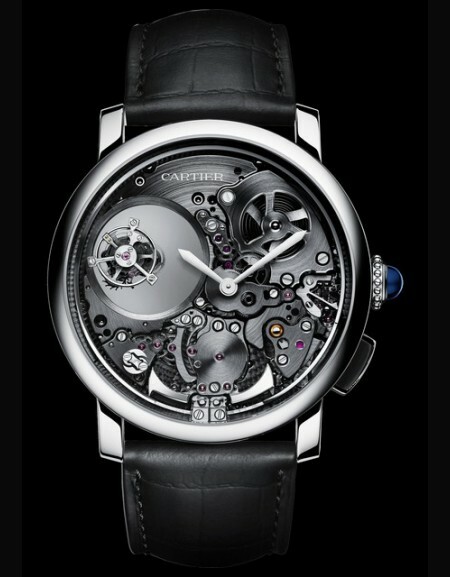 Creation of the Panthère de Cartier watch. 1984 : New jewellery collection on the theme of gold and pearls. Creation of the Fondation Cartier pour l'art contemporain in Jouy-en-Josas. 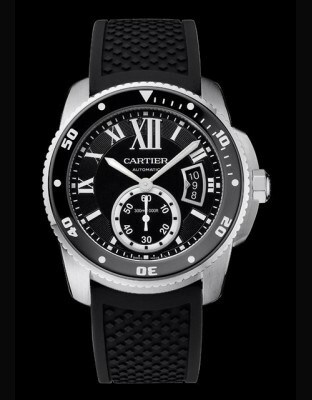 Cartier became partner to the International Polo Tournament at Windsor, England. 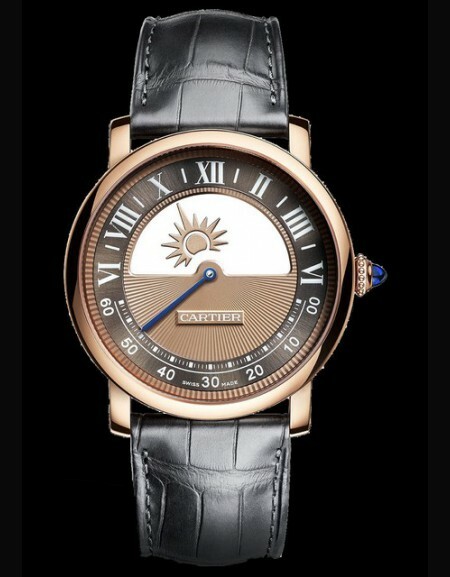 1985 : Launch of the Pasha de Cartier wristwatch. 1986 : New jewellery collection on the theme of the panther. 1987 : Launch of the Panthère de Cartier perfume. Creation of Les Maisons de Cartier tableware (porcelain, crystal and silverware). 1988 : New jewellery collection on the theme of Egypt. 1989-1990 : Launch of the Tank Américaine wristwatch. 'The Art of Cartier', the first major retrospective in Paris, at the Petit Palais. 1991 : Establishment of the Comité International de la Haute Horlogerie (CIHH). The first Salon International de la Haute Horlogerie (SIHH) in Geneva. 1992 : 'The Art of Cartier' exhibition at the Hermitage Museum in Saint Petersburg. 1994 : The Fondation Cartier pour l'art contemporain moved to the Left Bank in Paris in a building on Boulevard Raspail, the work of the architect Jean Nouvel. 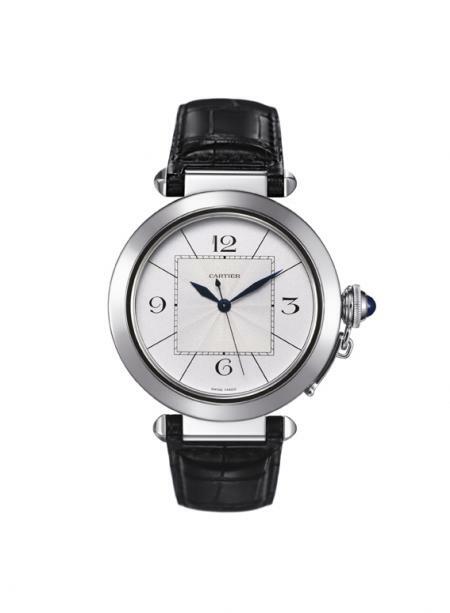 1995 : Creation of the Pasha C wristwatch in steel. Launch of the So Pretty de Cartier perfume. "The Art of Cartier, the World of French Jewelry Art" exhibition at the Tokyo Metropolitan Teien Art Museum in Japan. 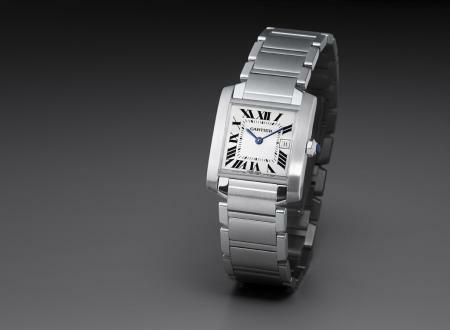 1996 : Creation of the Tank Française wristwatch. New jewellery collection on the theme of Creation. Creation of the Tank ring. 'Cartier, Splendours of Jewellery', a retrospective exhibition at the Hermitage Foundation in Lausanne, Switzerland. 1997 : Cartier celebrated its 150th anniversary with exceptional Fine Jewellery creations including a necklace in the form of a serpent, paved with diamonds and set with two pear-shaped emeralds of 205 and 206 carats. 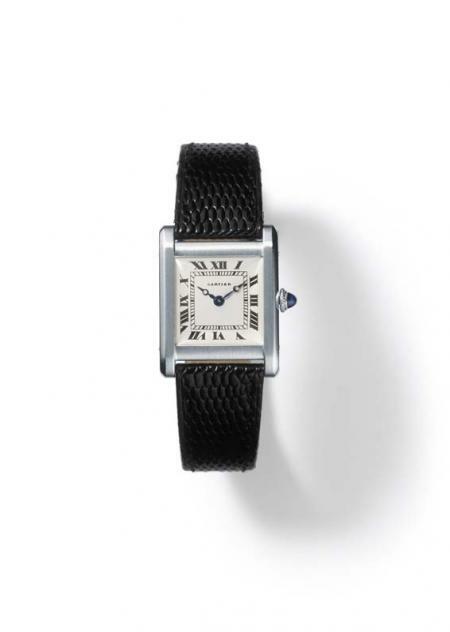 'Cartier 1900-1939' retrospective at the British Museum in London and the Metropolitan Museum of Art in New York. 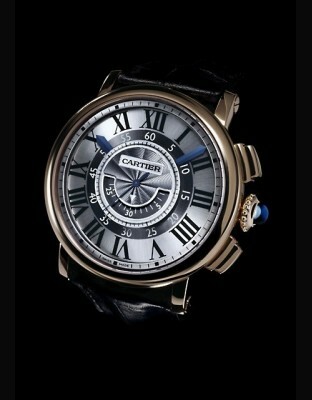 1998 : Creation of the Collection Privée Cartier Paris Fine Watch collection. 1999 : Creation of the Paris Nouvelle Vague Cartier jewellery collection, inspired by Paris. 'The Art of Cartier, A splendor of Time' retrospective at the Museo del Palacio de Bellas Artes in Mexico City with guest of honour the Mexican actress María Félix. Exhibition 'Cartier 1900-1939' at the Field Museum of Natural History in Chicago. 2000 : Creation of a jewellery collection taking Cartier into the 21st century. 2001 : The Délices de Cartier jewellery collection. Launch of the Roadster watch. Cartier showed the ceremonial necklace made for the Maharajah of Patiala at the 21st Biennale des Antiquaires in Paris. The intersection of Fifth Avenue and 52nd Street was officially named 'Place de Cartier'. 2002 : Creation of the Tank Divan wristwatch. 'Cartier Design viewed by Ettore Sottsass' at the Vitra Design Museum in Berlin and the Palazzo Reale in Milan. The exhibition would later travel to the Daigoji Temple in Kyoto and the Houston Museum of Fine Arts. 2003 : Le Baiser du Dragon and Les Délices de Goa jewellery collections. The Kimberley Process was implemented and Cartier immediately adopted measures to end trade in conflict diamonds. Cartier contributed to 'Jean Cocteau, Spanning the Century' at the Centre Georges Pompidou in Paris. Cartier opened at 154, Avenue des Champs-élysées in Paris. 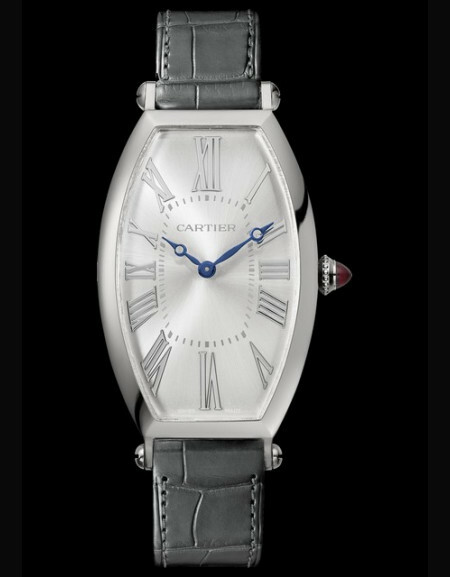 2004 : Marking the one-hundredth anniversary of the Santos de Cartier wristwatch, creation of the Santos 100, Santos Demoiselle and Santos-Dumont wristwatches. Cartier presented 'The Art of Cartier', a retrospective exhibition at the Shanghai Museum. Presentation of the historic Star of the South diamond weighing 128.48 carats at the 22nd Biennale des Antiquaires in Paris. 2005 : Creation of the Caresse d'Orchidées par Cartier Fine Jewellery collection. 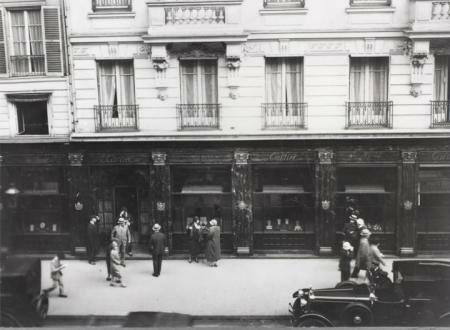 Creation of a bespoke perfume service at 13, Rue de la Paix. 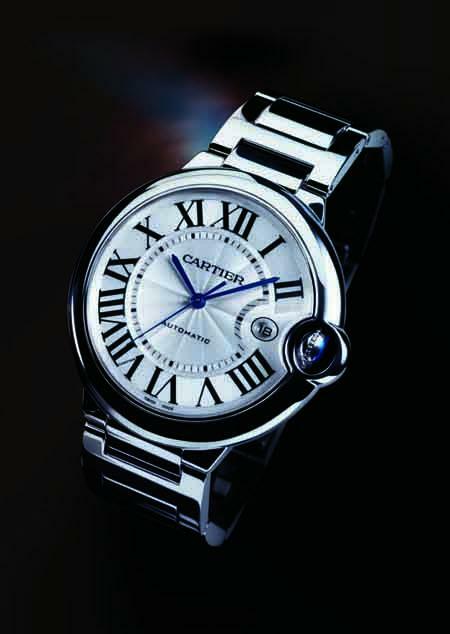 Cartier co-founded the Council for Responsible Jewellery Practices. 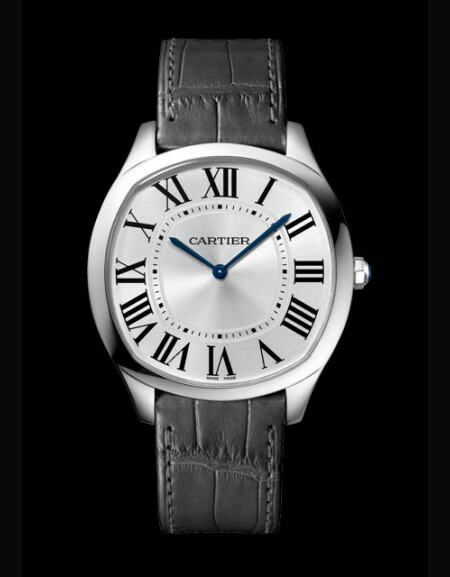 Cartier gave its support to the Women's Forum by becoming an active member. 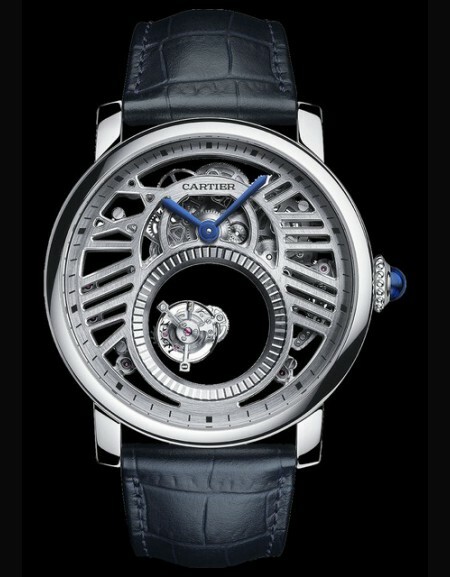 2006 : Creation of the La Doña de Cartier wristwatch. First 'Love Charity' international fundraising sale. 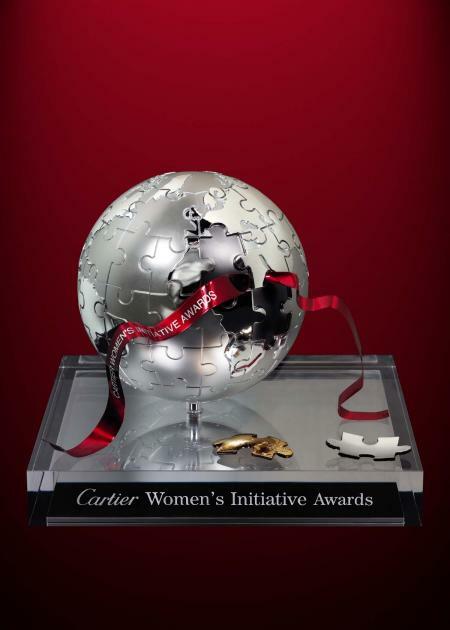 Cartier presented a special award for women business entrepreneurs at the Women's Forum for the Economy and Society. 2007 : Creation of the Inde Mystérieuse Fine Jewellery collection. 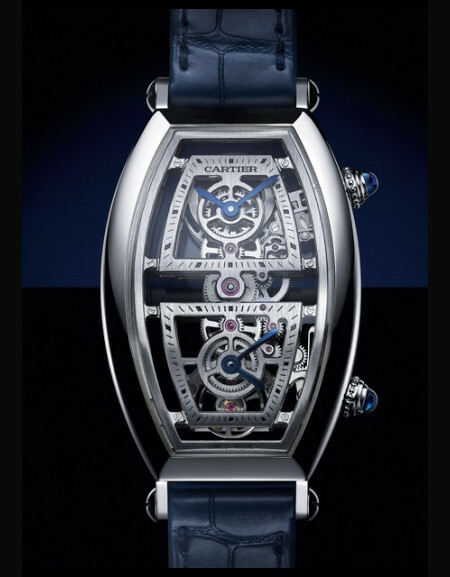 Creation of the Ballon Bleu de Cartier wristwatch. 'Cartier 1899-1949, The Journey of a Style' at the Calouste Gulbenkian Foundation Museum in Lisbon. 'Cartier, Innovation through the 20th Century' at the Kremlin Museum in Moscow. 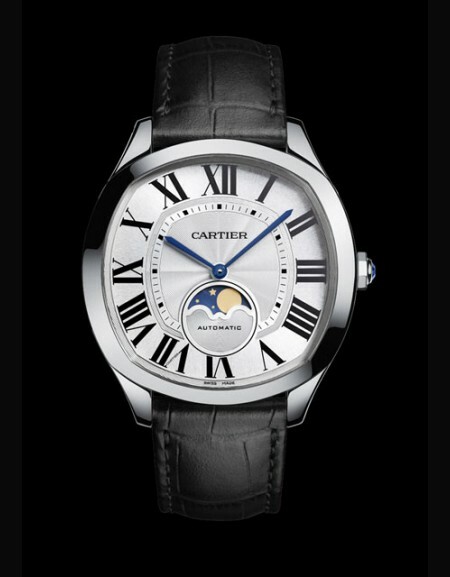 2008 : Creation of the 9452 MC calibre, the first Cartier calibre to be stamped with the Geneva Seal. Creation of Roadster, fragrance for men. 'The Art of Cartier', a retrospective exhibition held at the Deoksugung National Museum of Seoul, Korea. Presentation of a fine jewellery collection, dedicated to extraordinary creatures such as dragons, chimaeras, plumed serpents, at the 24th Biennale des Antiquaires in Paris.